1. Act Quickly! Nowadays, most carpets come already treated with a stain-resist treatment, so many spills can be removed if immediate action is taken. However, even with that treatment, spills will still set and become harder to remove with time. The longer you wait, the more likely is that a spill will become a permanent stain. No carpet is completely stain proof, and it’s much easier to prevent stains than to clean them once they’ve set. 2. Blot liquids with a dry, white, absorbent cloth or white paper towel. Avoid cloths and paper towels with dye or preventing, as these can transfer to the wet carpet. 3. Don’t scrub it in! 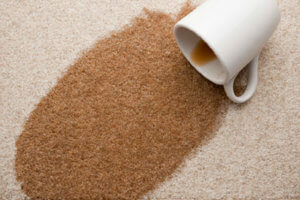 Scrubbing may push the spills deeper into the carpet fibers and even damage your carpets. Continue to only blot using a dry cloth or paper towels until the area is completely dry. For semi-solids, gently scrape up with a rounded spoon. Solids should be broken up and vacuumed until completely removed. 4. Pretest any spot removal agent in an inconspicuous area (such as under furniture or in a corner) before using to be certain the solution will not damage the fiber or remove the dye. After applying several drops to the testing area, hold a white cloth on the wet area for 10 seconds. Examine the carpet and cloth for color transfer, color change, or damage to the carpet. If a change in the carpet occurs, you’ll need to use a different cleaner. 7. Continue using the first cleaning solution as long as there is a transfer of the spill to the cloth. Be sure to completely remove the stain. You may need to need to apply more cleaning solution to completely get the stain out. 8. Be patient! Complete removal of the spill may require repeating the same step several times. Do not continue to step 9 until the stain has been completely removed. If you do not completely remove that stain, all of your effort will be wasted! 9. Rinse the affected area thoroughly with cold water, and blot with a dry cloth until all of the solution has been removed. Be sure the solution is comely removed; some cleaning solutions will cause rapid soiling if they are left on carpets. 10. Apply a thick layer of white paper towels to the affected area, and weigh down with a flat, heavy object. Continue to change paper towels as needed until the area is dry. A dry, absorbent, cleaning compound may be used as a substitute to accelerate drying time. 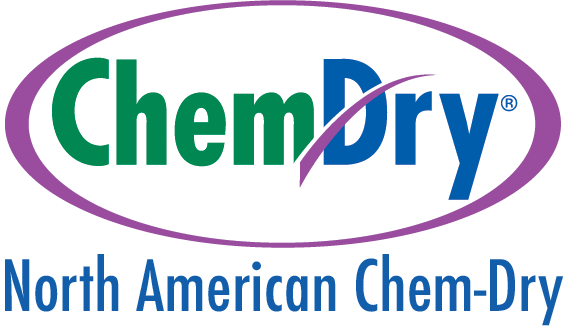 If the stain can’t be lifted despite your best efforts, give us a call at North American Chem-Dry. We specialize in removing stains from carpets and we’d be happy to help you!